Summary: A 20 year study finds regular exercise during mid-life appears to be a key protector against memory decline in later years. Landmark 20-year study shows regular physical activity is the No.1 protector against cognitive decline. Regular exercise in middle age is the best lifestyle change a person can make to prevent cognitive decline in their later years, a landmark 20-year study has found. Recent research shows abnormalities in brain tissue begin several decades before the onset of cognitive decline, but little is known about the lifestyle factors that might slow the onset of decline in middle age. As the incidence of Alzheimer’s disease diagnosis doubles every five years after 65, most longitudinal studies examining risk factors and cognitive disease recruit participants over the age of 60 or 70. The new University of Melbourne study, published in the American Journal of Geriatric Psychiatry, tracked 387 Australian women from the Women’s Healthy Ageing Project for two decades. The women were aged 45-55 when the study began in 1992. Associate Professor Cassandra Szoeke is director of the Women’s Healthy Ageing Project and led the study. She says researchers were interested to find out how lifestyle and biomedical factors — such as weight, BMI and blood pressure — impacted memory 20 years down the track. “There are few research studies which have data on participants from midlife and have assessed cognition in all their participants in later life,” Associate Professor Szoeke says. “This research is really important because we suspect half the cases of dementia worldwide are most likely due to some type of modifiable risk factor. Over two decades, Associate Professor Szoeke and her team took a wide range of measurements from the study participants. They made note of their lifestyle factors — including exercise and diet, education, marital and employment status, number of children, physical activity and smoking. And they measured hormone levels, cholesterol, height, weight, Body Mass Index and blood pressure at 11 points throughout the study. Hormone replacement therapy was factored in. The women were given a Verbal Episodic Memory test in which they were asked to learn a list of 10 unrelated words and attempt to recall them 30 minutes later. When measuring the amount of memory loss over 20 years, frequent physical activity, normal blood pressure and high good cholesterol were all strongly associated with better recall. Associate Professor Szoeke says once dementia occurs, it is a slow moving freight train to permanent memory loss. “In our study more weekly exercise was associated with better memory. We now know that brain changes associated with dementia take 20 to 30 years to develop,” she says. Regular exercise of any type, from walking the dog to mountain climbing, emerged as the number one protective factor against memory loss. 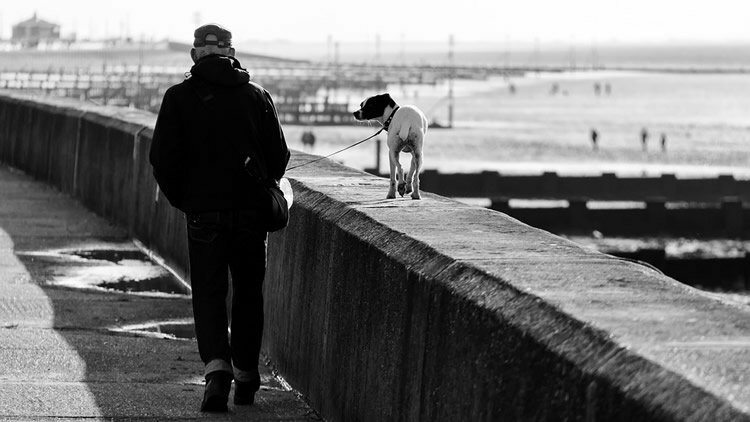 Regular exercise of any type, such as walking the dog, has emerged as the No.1 protective factor against memory loss. NeuroscienceNews.com image is for illustrative purposes only. In fact, the beneficial influence of physical activity and blood pressure together compensates the negative influence of age on a person’s mental faculties. Associate Professor Szoeke says the best effects come from cumulative exercise, that is, how much you do and how often over the course of your life. “The message from our study is very simple. Do more physical activity, it doesn’t matter what, just move more and more often. It helps your heart, your body and prevents obesity and diabetes and now we know it can help your brain. But the key, she says, is to start as soon as possible. “We expected it was the healthy habits later in life that would make a difference but we were surprised to find that the effect of exercise was cumulative,” she says. “So every one of those 20 years mattered. Funding: The study was funded by the National Health and Medical Research Council and the Alzheimer’s Association. University of Melbourne. “Exercise During Middle Age Could Protect Against Memory Loss Later.” NeuroscienceNews. NeuroscienceNews, 8 June 2016. University of Melbourne. “Exercise During Middle Age Could Protect Against Memory Loss Later.” http://neurosciencenews.com/exercise-cognition-aging-4407/ (accessed June 8, 2016). Predictive Factors for Verbal Memory Performance Over Decades of Ageing: Data From the Women’s Healthy Ageing Project. Abnormalities in brain structure and function can occur several decades prior to the onset of cognitive decline. It is in the preceding decades that an intervention is most likely to be effective, when informed by an understanding of factors contributing to the disease prodrome. However, few studies have sufficient longitudinal data on relevant risks to determine the optimum targets for interventions to improve cognition in ageing. In this paper we examine the timing and exposure of factors contributing to verbal memory performance in later life. 387 participants from the population-based Women’s Healthy Ageing Project, mean age at baseline of 49.6 years (45 – 55), had complete neuropsychiatric assessments, clinical information, physical measures and biomarkers collected at baseline, with at least three follow-up visits that included at least one cognitive reassessment. Mixed Linear models were conducted to assess the significance of risk factors on later life verbal memory. We explored the influence of early, contemporaneous and cumulative exposures. Younger age and better education were associated with baseline memory test performance. Over the 20 years of study follow-up, cumulative mid to late life physical activity had the strongest effect on better later life verbal memory (0.136 [.058, .214]). The next most likely contributors to verbal memory in late life were the negative effect of cumulative hypertension (-0.033 [-.047, -.0.18] and the beneficial effect of HDL cholesterol (0.818 [0.042, 1.593]). Findings suggest that midlife interventions focused on physical activity, hypertension control, and achieving optimal levels of HDL cholesterol will help maintain later-life verbal memory skills.